The hottest buzzword at the moment in both the beauty and food industries is ‘organic‘, as it is associated with health, nature and benign products. 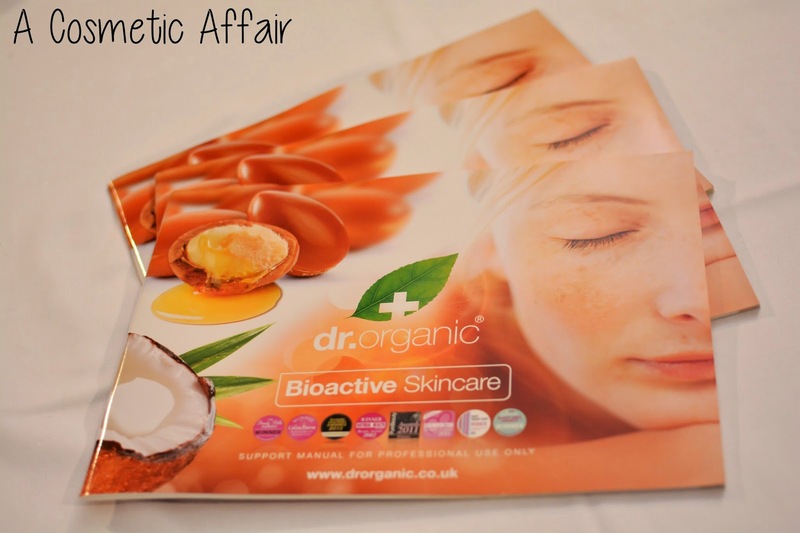 Dr Organic is a brand that is based on creating unique, natural products that are effective whilst also capturing the bio-active properties of the natural ingredients that make up their products. They have recently launched a new website for Malta and have been stocking up all local pharmacies and health stores with their vast range of products. 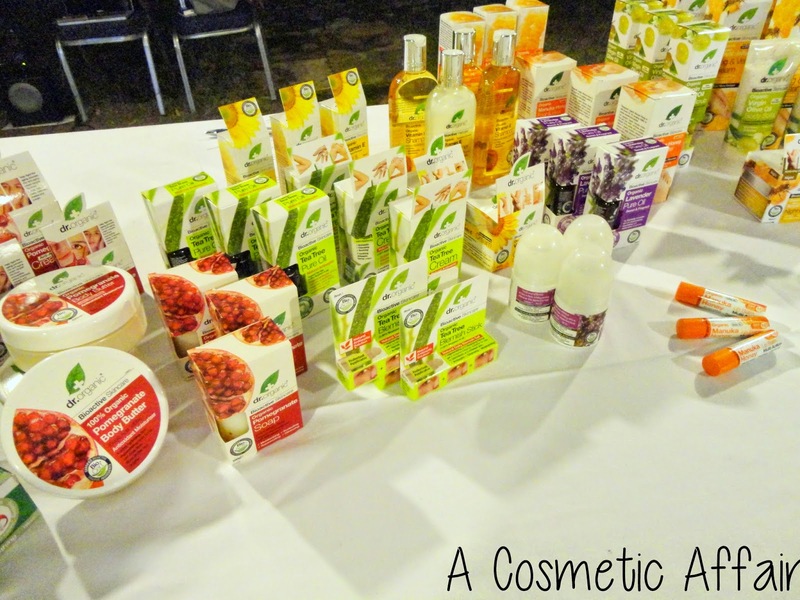 The brand offers a variety of different products with different ranges highlighting different key ingredients. The ranges are Vitamin E, Aloe Vera, Pomegranate, Manuka Honey, Royal Jelly, Tea Tree, Lavander, Olive Oil, Rose Otto, Coconut Oil, Moroccan Argan Oil and Dead Sea Mineral. All of their products are made up of mostly natural ingredients that are organic, thus offering the most effective results from each product for your skincare. During the month of November, the lovely people at Dr Organic Malta had a blogger event at the gorgeous Villa Bologna in Attard. Since I had already tried a couple products from the brand and had loved them, I was very excited to see what they had in store for us. 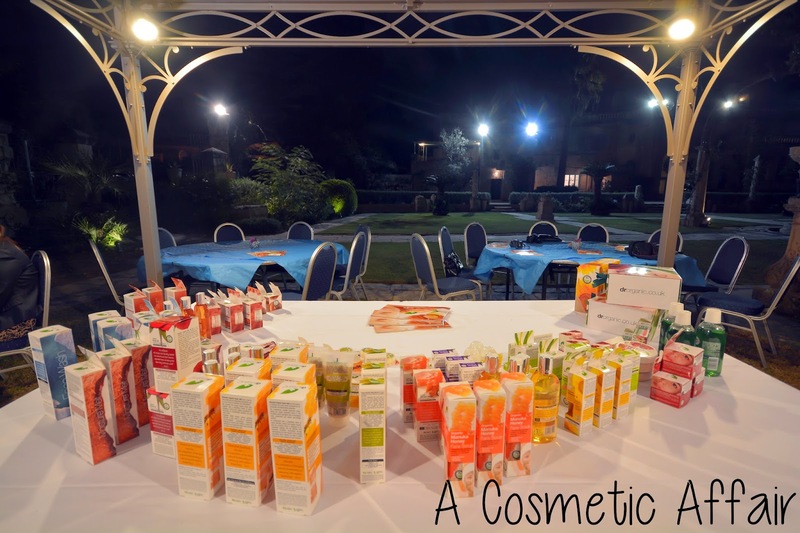 The setting was magical, with delicious refreshments and the table in the middle, which featured a number of products from different ranges of Dr Organic, was every Beauty Blogger fantasy. After we were introduced to each range and the specific benefits of each key ingredient, we were given the chance to choose three products to take home with us to try. The first one I chose was the Dr Organic Virgin Coconut Oil Hydrating Radiance Elixir which aims to rejuvenate tired, stressed skin. The product has a number of key ingredients such as Coconut Oil, Coconut Extract, Aloe Vera Leaf Juice, Algae Extract, Papaya and Mango Extract, Lemon Peel Oil and Vitamin C. This is a bit of a particular product. On the package the instructions read you can use it either before moisturiser or on its own. I have tried it both ways and I think I like it best on its own if I am to wear makeup on it, which I have. However I also do not mind it under a moisturiser at night. The packaging feels luxurious since it is in a glass bottle with a pump, and just one to two pump should be enough to cover your whole face. The next product I chose was the Dr Organic Manuka Honey Face Scrub. some of the key ingredients in this product are Manuka Honey, Almond Oil, Avocado Oil and Volcanic Particles. This scrub aims at deep cleansing your skin whilst restoring and nourishing it at the same time. I have only tried this once but I can already tell this is will be one of my favourite scrubs. The particles are really fine and your skin feels really smooth afterwards. Will let you know how I get on with it after more uses. Lastly I got a product which I had already finished a pot of. 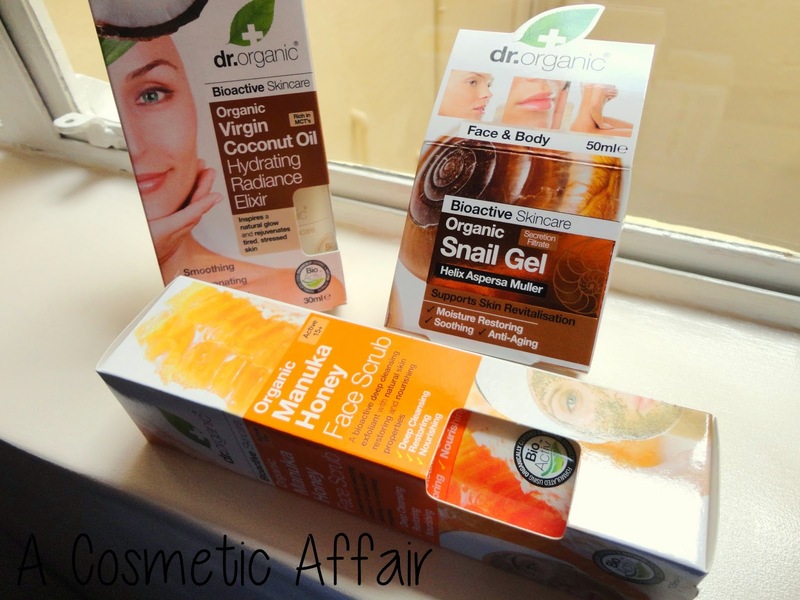 It is the Dr Organic Snail Gel. Now I know what you are thinking, eewwwwwwwwww snail! Indeed it is snail gel, but the product itself smells like lemons and it is fresh and light on the skin. This product aims at moisturising your skin whilst soothing it and also has anti-aging properties to it. Initially I had gotten this product for my mother but after trying it out I have sneaked it multiple times and love how my skin’s texture feels smoother and softer after I use it. This gel works well on its own, under makeup, during the night, basically at any given time you just slap some on and not have to think about it. You can check out Dr Organic Malta on their website or Facebook Page. There is an interactive map where you can find which shops carry out the range and a fun and helpful quiz to help you find which products are most suited for your skin. Disclaimer: This is not a sponsored post. Products mentioned are PR Samples. All opinions are my own.